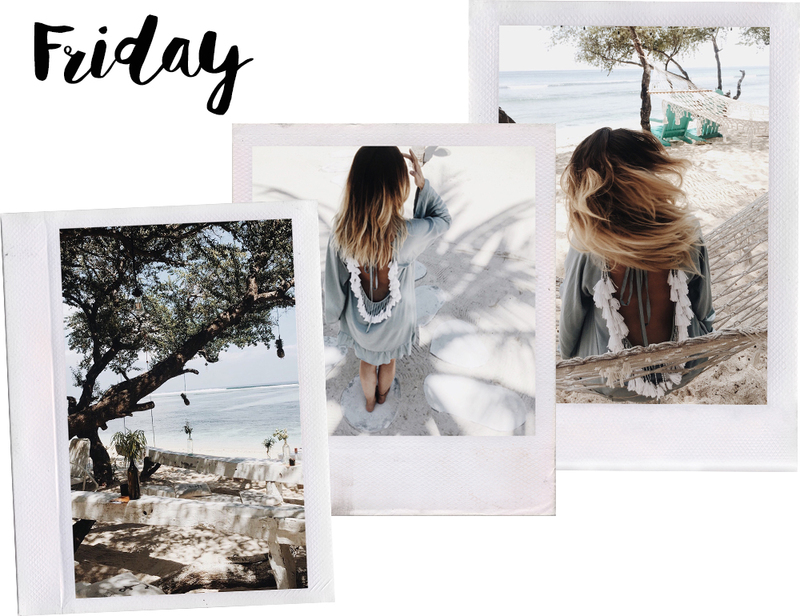 Aaah, last #ootd diary of our time in Bali. 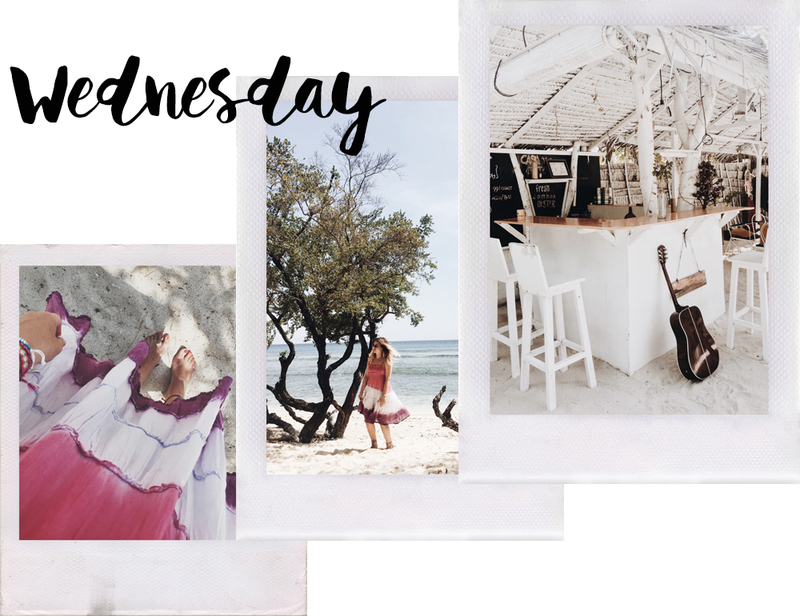 After this I will continue to share as many weekly #ootd diaries as possible. Let’s start with Monday! A maxi dress from H&M Trend, I think this is a summer essential. Perfect to wear to the beach or in the evening when you go out for dinner. 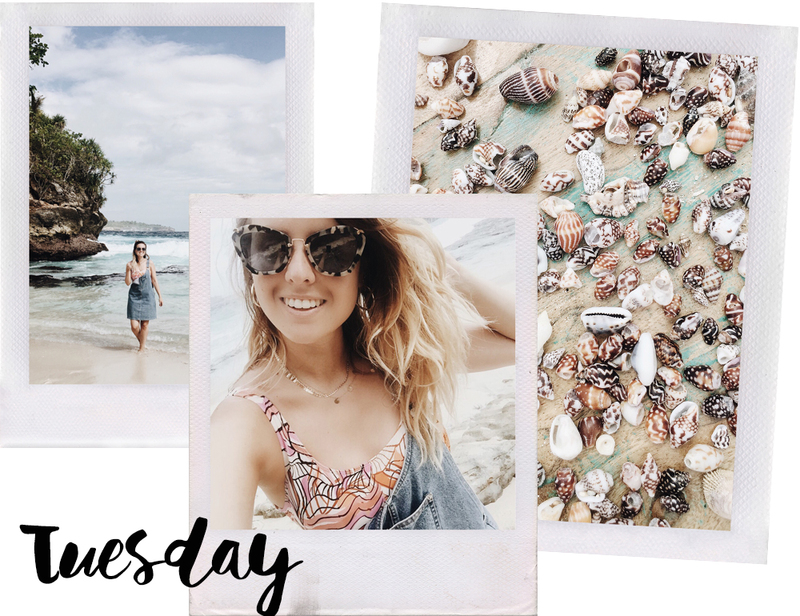 On Tuesday I was wearing a bathing suit from H&M Trend which is another summer staple. Just throw on a pair of shorts or a denim dress like I did and you outfit is finished! 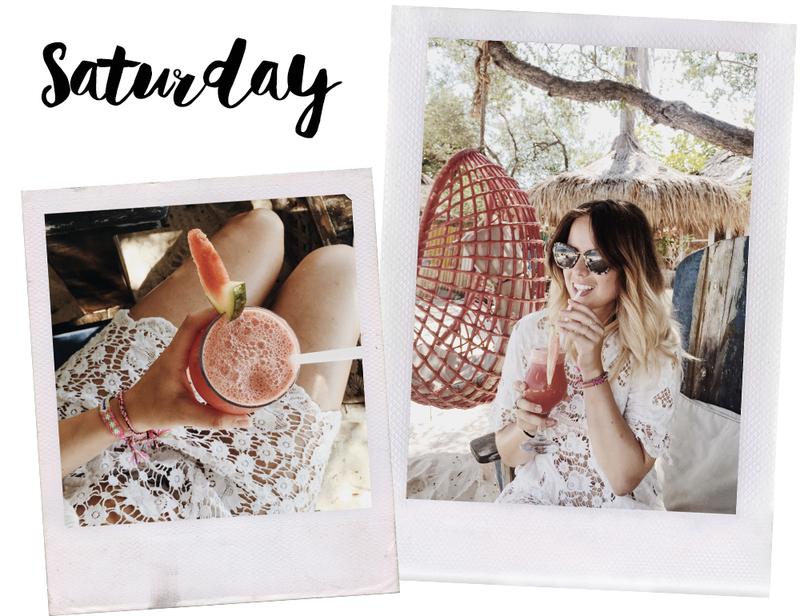 Another beach outfit shot at my favourite spot at Gili Trawanang called Casa Vintage. Such a dreamy place with beautiful swings in the trees, White interior and a stunning view. Aaaah, take me back please! A lot of favourites featured in this post.. I mean, this dress! I love the beautiful light Blue color and the details on the back. The perfect beach dress if you ask me. Sipping watermelon juice in my White crochet dress from Zara. An oldie but goodie and a dress I always gravite towards when I don’t know what to wear! Love the style of this. Those cocktails looks lush!